At the Dedication of the Alumni Park – October 25, 2013. I stand on the broad shoulders of these two giants, Dr. John E. Hurtgen and Dr. G. Ted Taylor. 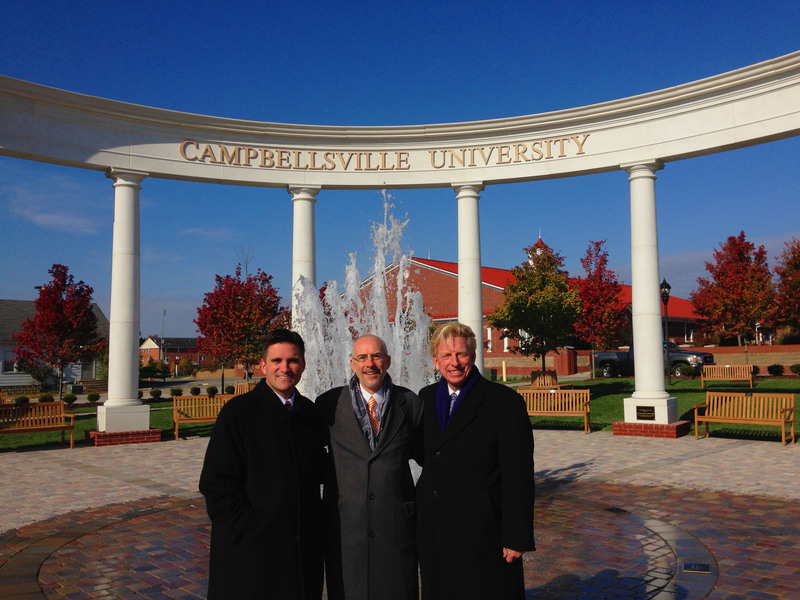 These stalwarts of faith who together built the Campbellsville Univ. School of Theology from the ground up. Beginning as a team in 1994 with only a handful of students and a few classrooms in the basement of Druien Hall, these men together have built, with a God-sized vision, a ministry school which has sent hundreds of students out as world changers for Christ. They are my mentors, my heroes, and my visual models of effective, long-term ministry within the Christian higher education environment. The indebtedness I feel toward these two men is unexplainable. I stand with them as a product of their ministry partnership and hopefully will continue their legacy far into the future. Thank you Dr. Hurtgen and Dr. Taylor for everything.